It has been revealed that B.A.P has trashed all 50,000 copies of their 1st mini-album ‘No Mercy‘ and will be delaying its release to a later date. B.A.P was scheduled to release the MV of “No Mercy” and the album both on and offline on July 19th. However, the group has decided to discard all 50,000 copies of album due to problems with the finished product. 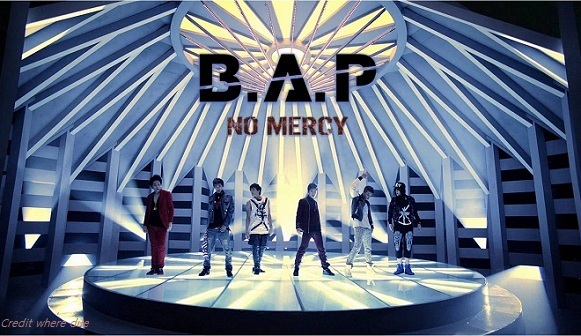 The release of “No Mercy” immediately reflected on MelOn‘s real-time music chart, placing high upon its release. With a complete 180-degree concept, the boys returned with exciting hip-hop rythms and rock riffs. The song starts off with leader Bang Yong Gook and maknae Zelo‘s dialect rap, followed by samulnori sounds (traditional Korean percussion music). The MV of “No Mercy”, in particular, is gaining much interest as the director of the MV turned out to be none other than Hong Won Ki of Johnny Bros, who’s famously known for directing music videos for Girls Generation, Seo Taeji, B2ST, Super Junior, and more. B.A.P will be making their comeback on the July 19th episode of Mnet‘s ‘M!Countdown‘, followed by KBS‘s ‘Music Bank‘ on the 20th, MBC‘s ‘Music Core‘ on the 21st, and SBS‘s ‘Inkigayo‘ on the 22nd. In addition, the boys’ showcase that was held in Malaysia will be aired on Mnet’s ‘Wide Entertainment News‘ on July 19th at 5PM (KST). Makes me kinda wonder who exactly is in charge of final editing and quality control? A similar problem happened to Infinite last year where they destroyed 30,000 copies of their 1st studio album due to a printing mistake. Someone is taking a big loss here. Infinite will be releasing their first studio album since their debut last year in June and will be promoting their title song, "Let's Be Mine." The teaser to the title song was also released on July 16th. It has been reported that 30,000 copies of their upcoming album has been thrashed due to a printing error that has been discovered during production. According to Infinite's agency, Woollim Entertainment, "Infinite has poured their heart and soul into this first album, so it was decided that we would discard all of the incorrect albums to release the perfect album." "We will try and avoid any schedule disruption. Currently, the situation is unclear. We will try to release the album as originally scheduled." 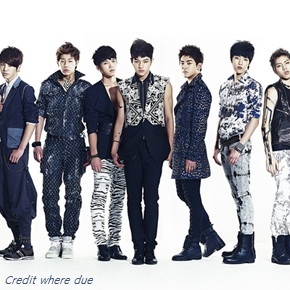 Infinite's album was originally scheduled for July 21st. Wow, exactly 1 year apart!